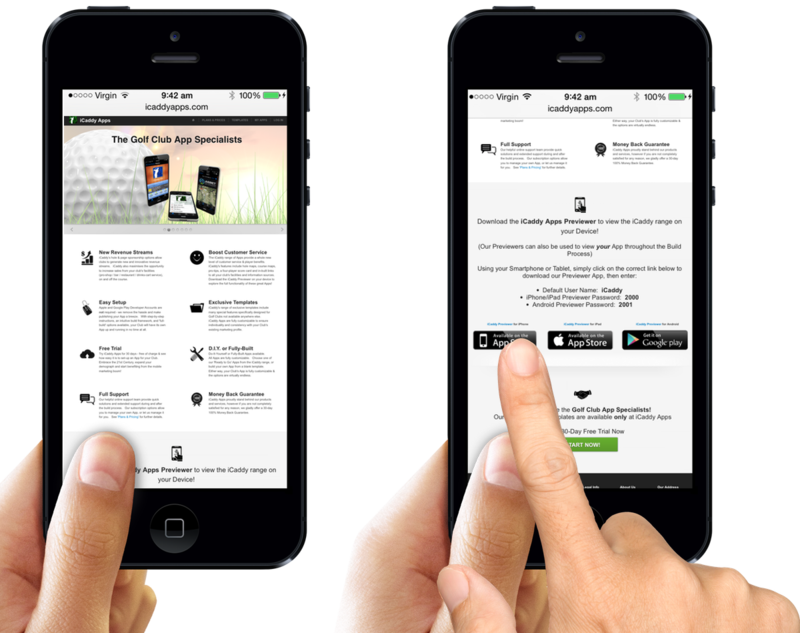 Using the 'iCaddy Apps Previewer' is an integral part of the App-building process. As you build the App, the Previewer allows you to review changes on an actual device (e.g. smartphone). The Previewer allows you to 'test-drive' your App and make any changes prior to final publishing. Go to icaddyapps.com on your mobile device. On the Home page, scroll down the page and select the correct link for for your device, then follow the normal process to download the iCaddy Apps Previewer from the relevant App Store. 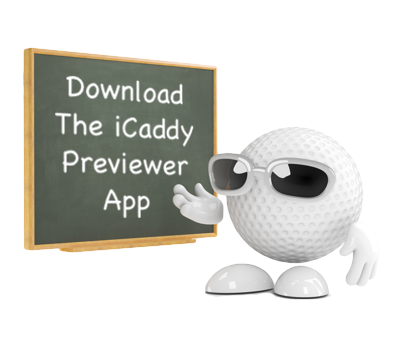 Alternatively, search for 'iCaddy Apps Previewer' in any App Store to locate and download the Previewer directly. For information on how to view your App in the Previewer, go to Preview an App on Your Device.